When it comes to generator system service and repair, we have got you covered. From repairs and installations to personalized scheduled maintenance care and technical support, our trained service technicians are the best techs in the business. TW Enterprises, Inc. has one of the most comprehensive Service Maintenance Programs in the industry, and our focus on generator systems shows our commitment. No matter where our generator systems are installed, you can count on TW Enterprises, Inc. for rapid and courteous response for maintenance and emergency repairs. Over 80 years combined experience in the field. Each service technician is Generac-Certified to accomplish repair, service, and warranty work. 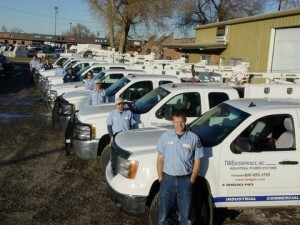 Over 1000 system installations completed by TW Enterprises, Inc.
Over 1200 scheduled maintenance contracts yearly. 24/7 service commitment ensures that your generator will be fixed — day or night!